A display that stretches to the far edges would almost certainly need to somehow deactivate touch input around its perimeter. Otherwise, your fingers / hands are likely going to accidentally touch the display, resulting in all sorts of erratic behavior. This isn’t the first time Sharp, which was acquired by Foxconn earlier this year for $3.5 billion, has impressed with its mobile display technology. 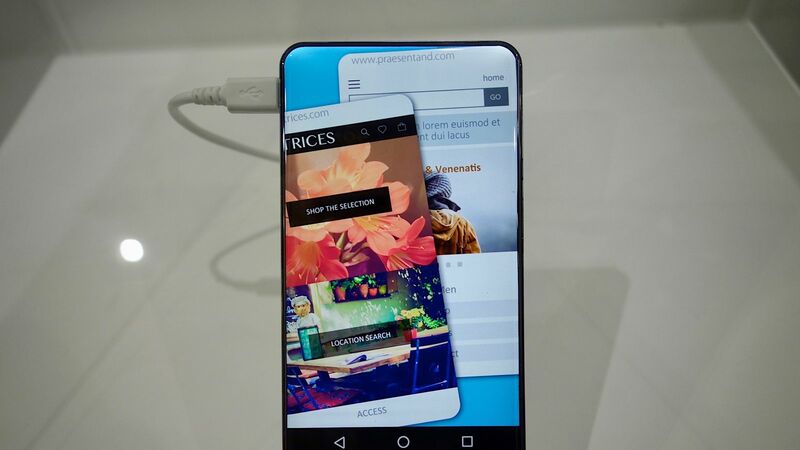 A couple of years ago, the company introduced the Aquos Crystal, a smartphone with a near bezel-less, 5-inch display that got loads of attention despite its mid-range hardware.